Change the way you carry your backpack, as per your choice, by complementing its colors with your clothes, or your shoes or even by contrasting the two colors and create a unique look. The reversible sports pack is made from durable 210D polyester material. It has a drawstring closure for optimum security. 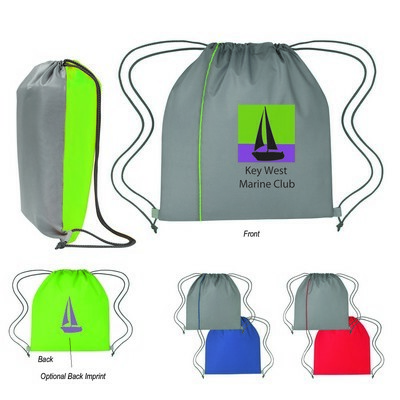 It is front/back reversible, which gives you two large imprint areas for displaying your company’s logo. The bag is available in gray with royal blue, lime green, or red. Spot clean/air dry to prolong bag life. Give away the bag at sport events, cultural festivals, and colleges to increase brand visibility.